Herdsmen Killings: NYSC Makes Announcement On Posting Of Corpers To Benue - NAIRAFAME | Best Entertainment Platform. Prospective members of the National Youth Service Corps, are set to be posted to Benue State as the state governor has intervened few months after herdsmen crisis in the area. 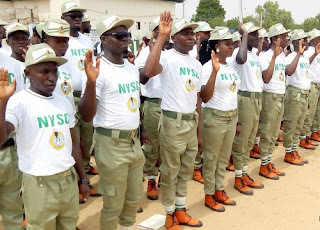 Following Governor Samuel Ortom’s intervention, the National Youth Service Corps (NYSC), has promised to resume posting of corps members to Benue State. Recall that as a result of the heightened tension the herdsmen crisis generated in Benue at the beginning of this year, which led to the suspension of the posting of corps members to the state. But Director-General of the NYSC, Brig.-Gen. Sule Kazaure, shelved the idea when Governor Ortom visited him at the NYSC headquarters, in Abuja, and gave assurances that corps members would continue to be posted to the state. While commending the governor for visiting him to allay fears of the corps on the security situation in the state, the NYSC boss maintained that the visit had not only helped to build confidence the corps has in the state about the security situation but also strengthened ties between it and the government as well as its people. A statement signed by the Chief Press Secretary to Governor Ortom, Terver Akase, added that the Governor had earlier assured the NYSC Director-General that his administration had taken proactive measures to guarantee the safety of all corps members posted to the state. “He (the Governor) said the security situation in Benue has improved significantly with the presence of Operation Whirl Stroke, describing as unnecessary, reports which inflamed fears leading to the suspension of corps members’ posting to the state. “The governor reaffirmed the determination of his administration to sustain its collaboration with security agencies to safeguard lives and property,” Akase noted.